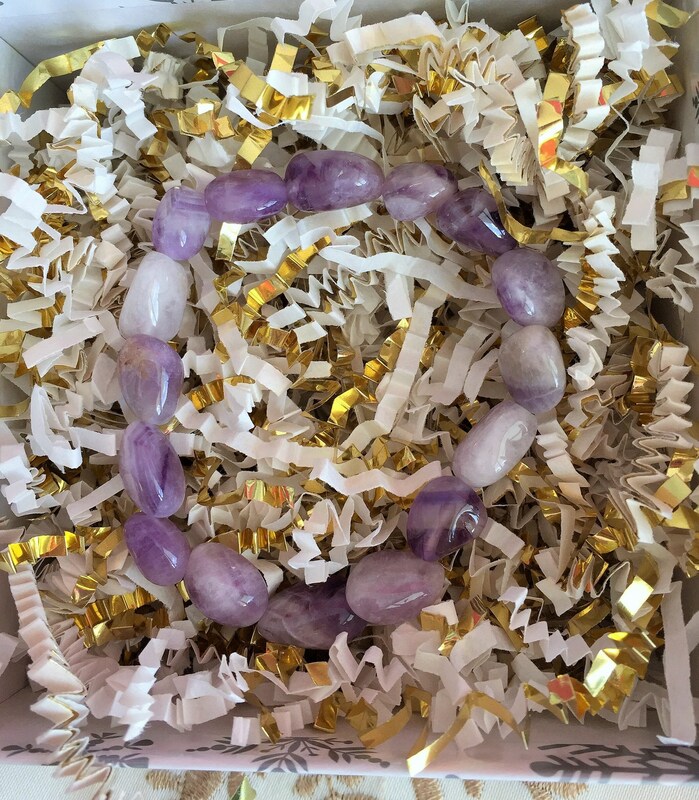 Amethyst Gemstone Stretch Bracelet. Due to the natural nature of the item, the stones and shapes may vary. 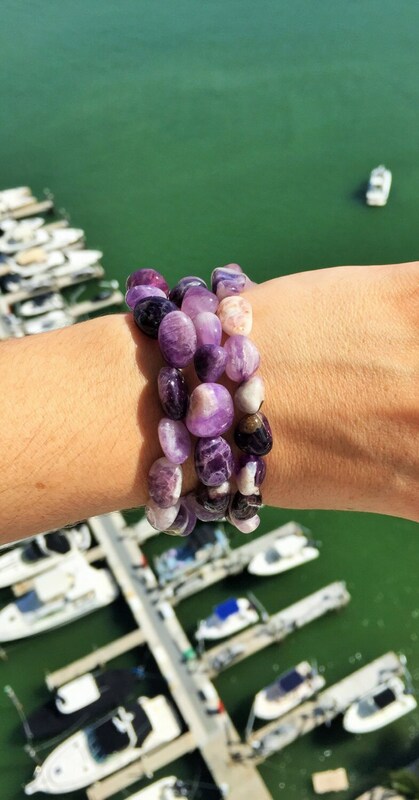 Amethyst crystals reduce anxiety and calms the mind/thoughts. And has the ability to clear and cleanse the aura. love it. just wish there was more darker variation in it. So pretty!! I sent these as a gift, because I've ordered other bracelets from Chakra Healing Shop in the past. 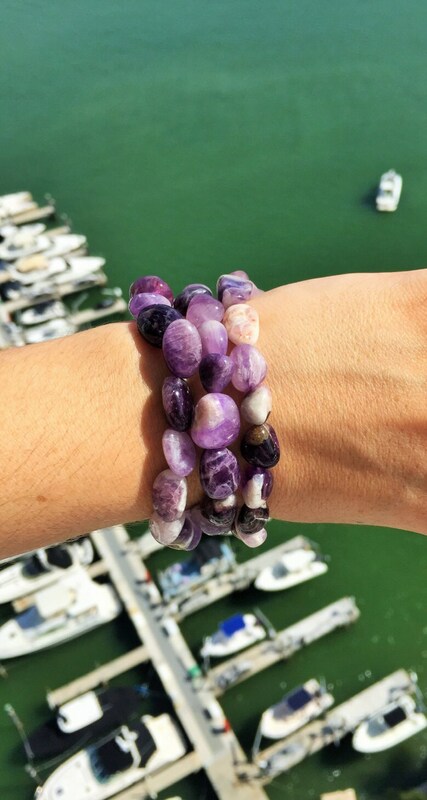 The bracelets are always beautiful and attract tons of compliments.